So after many trials and tribulations His Holiness was able to speak to many sentient beings – for those who were able to see the webcast it was a moving experience to say the least. The teachings will soon be available to view again but in the meantime you can click here for audio of most of His Holiness’ webcast. Personally I was stunned by His Holiness’ vision and clarity, particularly when he spoke of our connection with regard to others; those whose actions vex us. “Feel as if it’s our own selves”. Can I really empathise as if those who push my limits of loving kindness are acting as I might act? 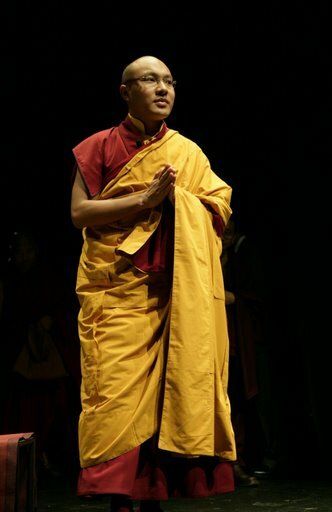 This entry was posted on May 28, 2010 at 10:10 pm and is filed under HH Karmapa, Teachings. You can follow any responses to this entry through the RSS 2.0 feed. You can leave a response, or trackback from your own site.